With the holiday season quickly approaching, endless parties are planned to be celebrated in style. Swanky soirees, grandiose gifts, and contagious cheer all call for a fashionable experience. Holiday aesthetics including bold colors, sparkle, and shine don’t just apply to decorations - play up your look at your holiday party this year with our favorite trends of the season! 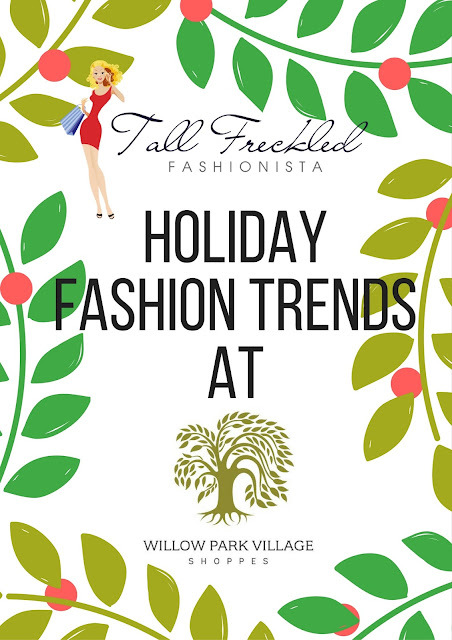 Located in Willow Park Village is a line-up of flavorful fashion boutiques that cater to fashionistas with a spectrum of trending tastes. What is your go-to look to celebrate the holidays? We visited the lovely shops of C’est Casual, Erin’s Boutique, and First Class Fashion to find our favorite festive outfits. Offering a stylish selection of designer brands, C’est Casual is a personable boutique with an incredibly friendly staff that features curated collections from Frank Lyman Design, Conrad C, and Gelco from Germany. The storefront showcases a range of styles for all women. Sporty silhouettes, comfort-friendly fabrics, and fanciful patterns adorn the racks that encourage elegance and sophistication. For a holiday inspired look, we chose a rich red hued jacket with oversized lapels and a glitter circle pattern paired with classic black trousers. A lavish shade of red is romantic and festive, especially when complemented with a sprinkle of glittered detail. Another look we loved still heightened the trend of sparkles. A sleeveless buttoned blouse by Domee, Inc. creates a whimsical silhouette with an oversized collar. Paired with sleek black leggings and detailed with a silver statement necklace, such an outfit is ideal for shining chic at a holiday party! 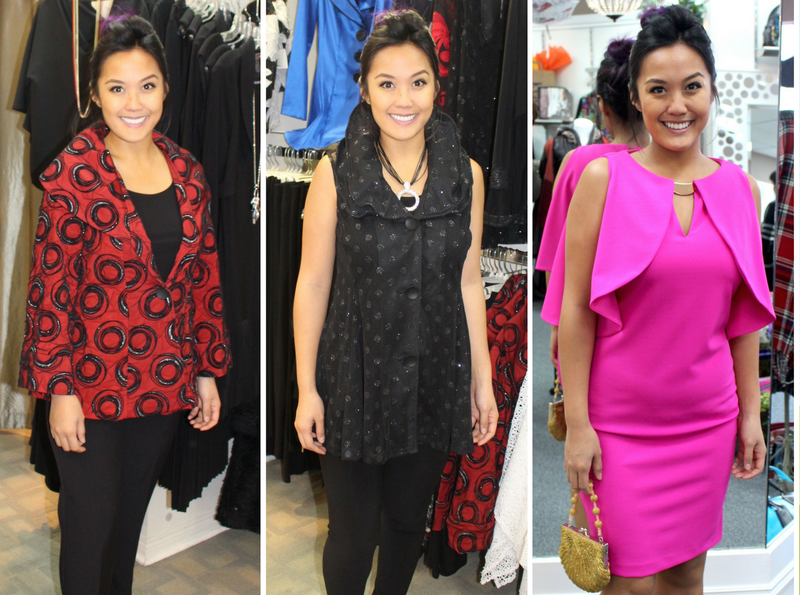 The staff at C’est Casual welcomes every shopper who wants to look great at any event. 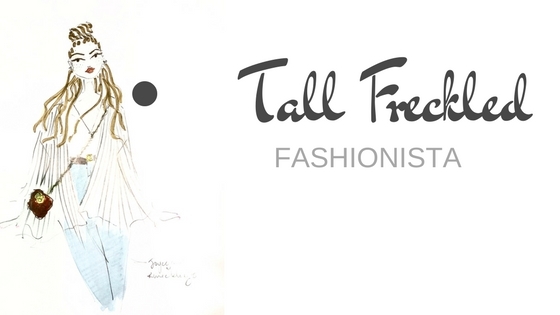 Visit this beautiful shop and find your favorite outfit to celebrate the holidays in this year! Right next to C’est Casual in Willow Park Village is Erin’s Boutique and First Class Fashion - two boutiques that provide excellent service and wonderful fashion including whimsical accessories and gorgeous clothing that will leave you dressed to impressed for the holiday season. Among novelty items such as patterned travel luggage and quirky patterned sweaters perfect for gifts, there is a plethora of outfit choices from Canadian designer brands like Joseph Ribkoff and Not Your Daughter’s Jeans. Our favorite holiday look emphasizes the power of pink in a bold and feminine cocktail dress with a silver keyhole detail and cape draped front. If sparkles aren’t your ideal choice of design, a pop of color is a great trend to exhibit during the holidays. We narrowed down the sparkle trend to a statement beaded clutch available at Erin’s Boutique! Shiny and sparkly, a small purse or clutch is a sophisticated yet playful way to complement bold colors. Choose your best look (or looks!) for the holidays at Erin’s Boutique and First Class Fashion, where you are provided with endless classy options to choose from. 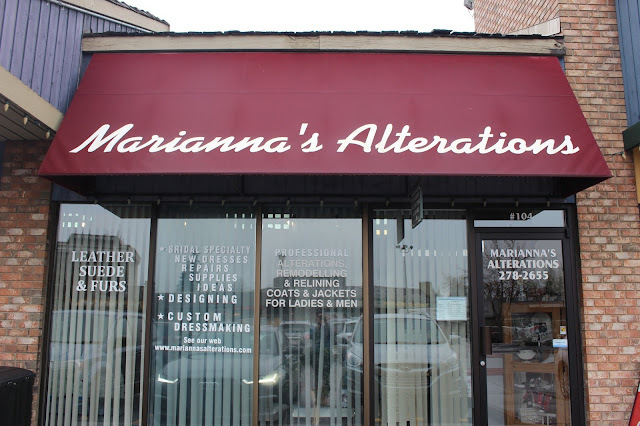 With business highlights featuring a European experience over 20 years and work with any kind of fabric, Marianna’s Alterations is a fashion staple to Willow Park Village. The staff at Marianna’s takes tailoring to a supreme degree that transforms pieces to impressive works of art. With a specialty in wedding fashion, clients are encouraged and welcome to take in their precious clothing to receive ultimate care from professionals. Take your holiday looks in for some custom repairing or restyling! The charming tailor business location is also a grand destination for catering to the dress rental services at Joyce’s Closet. With countless variations of fine fabrics and intricate designs, it is highly important to treat the curated collection of gowns and dresses with care from the trusted consultants at Marianna’s Alterations. Willow Park Village was incredibly kind to collaborate with us and is giving one lucky reader a reason to go shopping! Like what you see on our holiday gift guide and fashion trends features? Enter to win by commenting with your favorite look for celebrating the holidays in the comments section for a chance to win a $50 gift card to the shoppes at Willow Park Village! *Contest ends Thursday Nov 24th at Noon. I absolutely LOVE the Joseph Ribkoff fuchsia cape cocktail dress from Erin’s Boutique + First Class Fashion! Such a unique, modern statement look - definitely something you wouldn't find at the mall! ;) Thanks for the fantastic article, I'll for sure be heading over to Willow Park Village to check out all these great finds! Fingers crossed for a gift card to kickstart my holiday shopping, haha! I love the Joseph Ribkoff fuchsia cape cocktail dress $229 from Erin’s Boutique and First Class Fashion that is featured in this article! I love the Joseph Ribkoff fuchsia cape cocktail dress look. It is always nice to see some bright colours during the Winter season when to go to dress is black or red. I absolutely love anything sequin for the holiday. It's so festive and fun. I would totally wear the black glitter polka dot sleeveless blouse $250, Frank Lyman Design black legging pants $70, Silver statement necklace $45; both looks from C’est Casual! It looks comfortable and super amazing! !